The Yale University Visitor Center is the first step on a tour for over 50,000 visitors annually. Housed in a restored 1709 house which prohibited attachments or alteration to the interior walls, it presented exceptional exhibit design challenges. 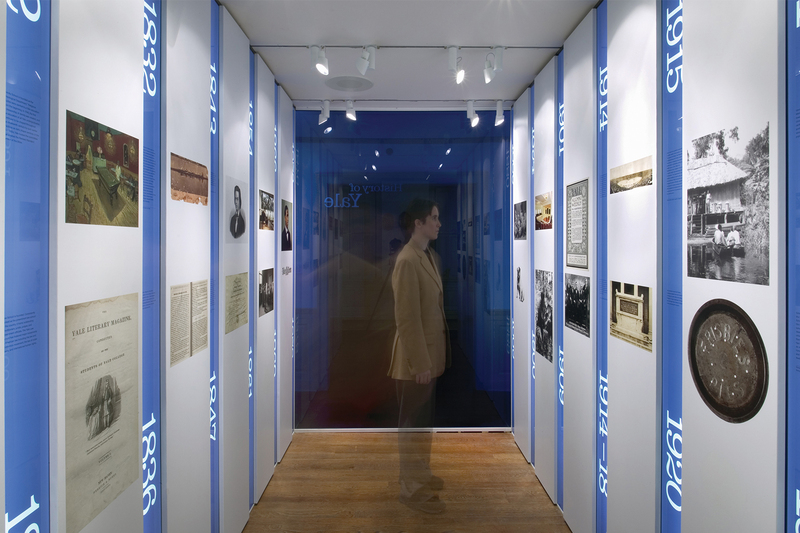 Spagnola & Associates’ ingenious solution was to create freestanding rooms within rooms for two permanent exhibitions. In the History Room, a U-shaped façade chronicles the 300 years of the school. 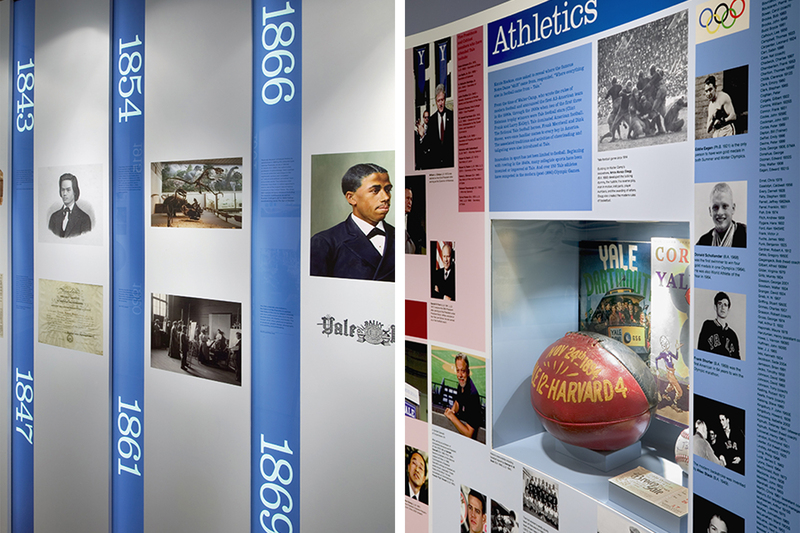 Capitalizing on the renowned Yale blue, two exhibition panels are connected by a massive sheet of blue glass. Transparent from the outside, the glass becomes opaque when viewed from the inside and throws a blue tinted glow on visitors within. In the Leaders Room, notable Yale graduates are featured. A curved wall, which forms an oval viewing area, is divided into color-coded sections that present over 1,000 illustrious alumni, grouped by profession. 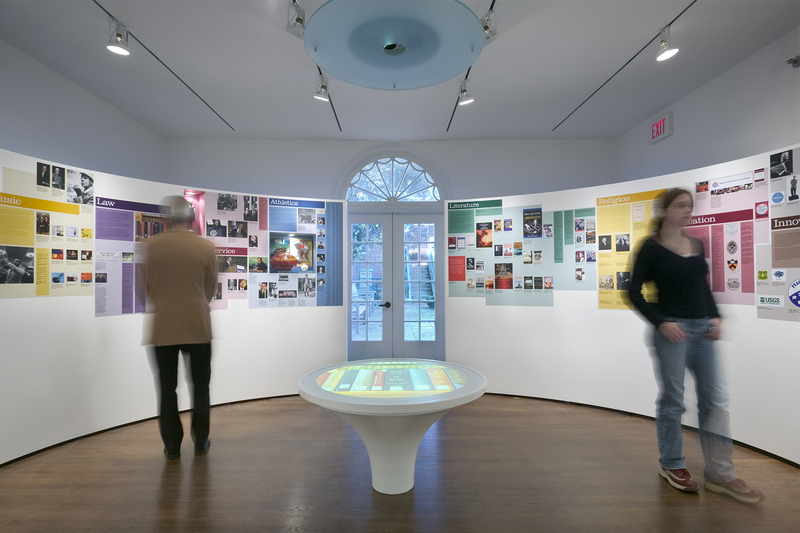 The space is punctuated in the center by a low table onto which projected images give the visitor a taste of the display.